While the weather warms up, so do the opportunities for entertaining around the pool. If you are looking for a fancy way of entertaining your children or your pool guests this season, mocktails can be a fun alternative to traditional cocktails. Here are the top three mocktails to try out around your pool this summer. 1. In a tall glass, combine orange juice and soft drink. Add grenadine and let it sink to the bottom. Garnish with a maraschino cherry and a straw for stirring. 1. Dice 5 strawberries and place 1 strawberry in the bottom of each glass. 3. Fill half of each glass with mango juice. 4. Fill the other half of each glass with lemonade. Do NOT stir. 5. Slit the bottom of a strawberry vertically and put on the top side of the glasses. 6. Add a cocktail umbrella to your strawberry if you wish. 1. Fill one ice cube tray with lemonade and another with grapefruit juice. Chop strawberries into small pieces and drop one piece into each lemonade cube and do the same with the mint leaves and the grapefruit juice. Leave trays in fridge until frozen. 2. Mix the remaining lemonade and grapefruit juice with the soda water and water in a jug. 3. Peel and remove the pith from the ruby grapefruit and orange and cut into small (1cm) pieces and add to the jug. 4. Place three or four ice cubes of each flavour into individual glasses and top up with the jug mixture. Spoon out the fruit if necessary to distribute evenly. These fun and delicious mocktails will keep your guests refreshed and hydrated while they enjoy dipping in and out of your BlueHaven Pool. 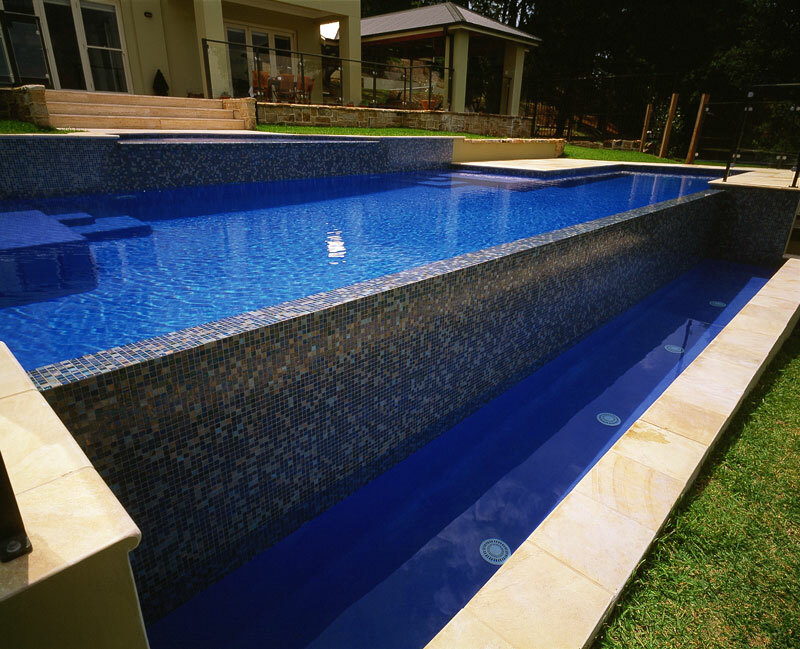 For more entertaining tips, call Blue Haven Pools on 13 20 25.